Got it from a stranger who was moving out of his office. He called it a rubber tree. It's about 3.5 feet tall in a 1.5 foot-wide pot along with another plant. 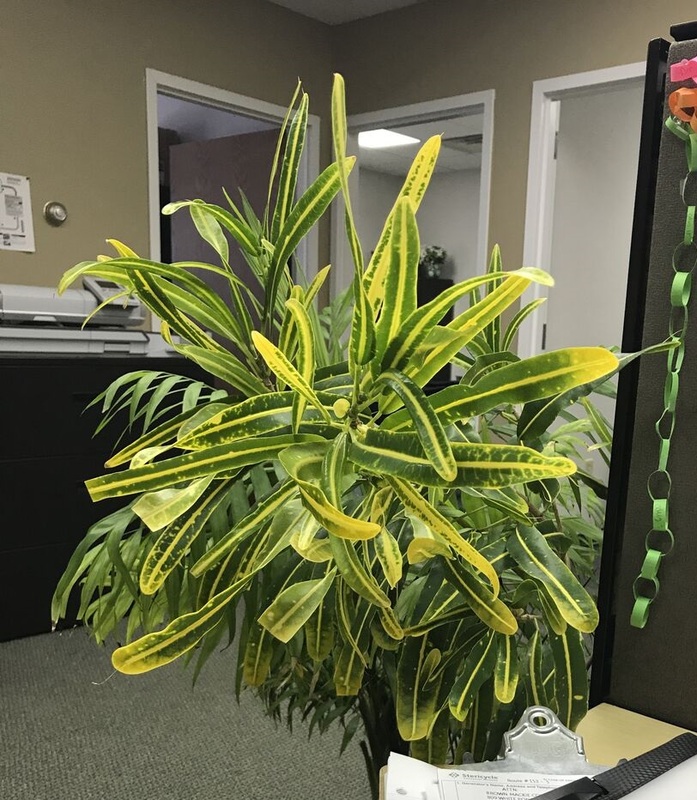 Its leaves are a yellow-green variegation and they're about 6 inches long and one inch wide. Thank you in advance, I'd love to know what it is so I can figure out how to take care of this guy to nurse it back to health. I think it's a Croton, one of the Codiaeum variegata types, of which there are many in various colour ranges with narrow or broader leaves. It could even be the variety 'Goldfinger', despite its having less brightly variegated leaves, that could be a result of insufficient sun/bright daylight. It requires bright light, preferably with some sun, and it prefers humid air - mist two or three times a week to prevent spider mite, to which they are prone when grown as houseplants. More info here: Growing Croton Plants Indoors. It looks relatively healthy, although that bare stem either means it was a standard originally, or its lost all its lower leaves. It's probably time to separate the plants in the pot to give the Croton more root room though. Note: Rubber tree usually refers to Ficus elastica, although many common names are used for more than one plant. What is this houseplant with variegated leaves that thrives growing in water? What is this large houseplant with long oval leaves? 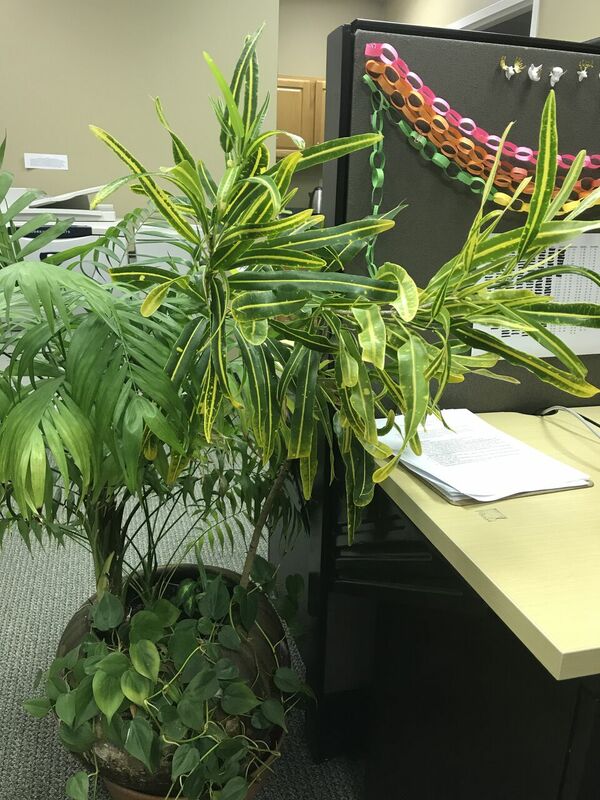 What is this thick-stemmed houseplant with variegated leaves? What is this plant with long narrow leaflets? What kind of houseplant is this? What is this houseplant with narrow, pointed, waxy leaves? What is this houseplant with glossy leaves? What is this houseplant with glossy, elongated and variegated leaves?